In Czech mountains Ivo Bartos observed diamond dust halos on December 23, 2007 near ski area of Paprsek, which is situated in the highest Moravian mountains. 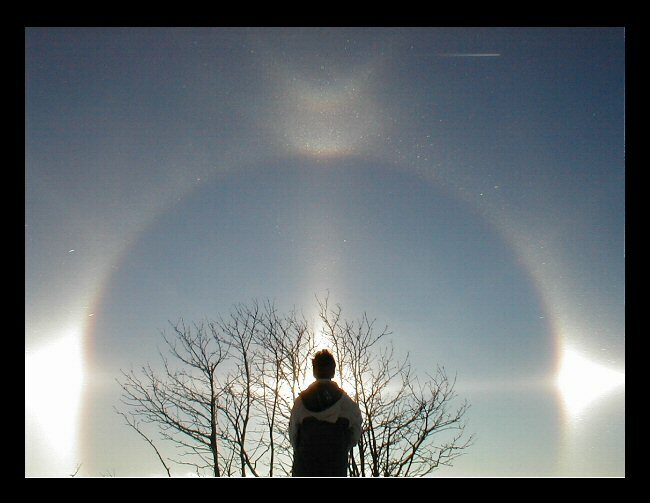 From 2 to 5 pm he most of the time observed sun pillar and parhelia with fragments of 22° halo. 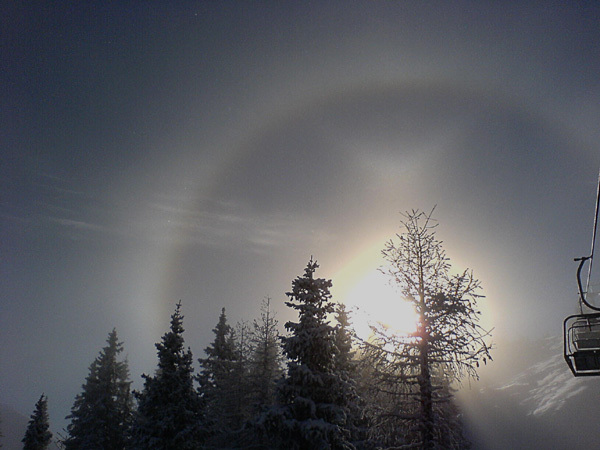 Culmination of the phenomenon occured at 4 pm when Moilanen arc appeared. This is the fourth observation of this arc in the Czech Republic. 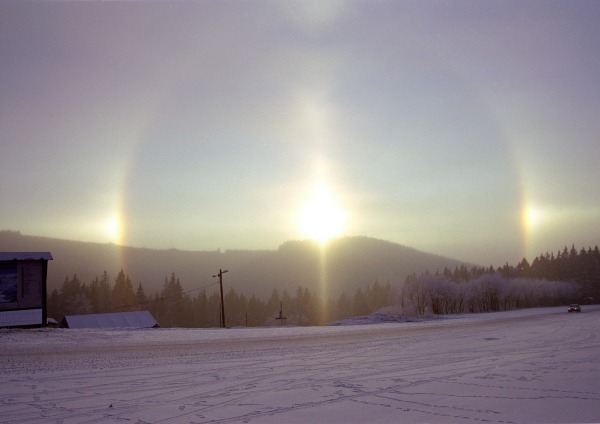 The first Moilanen arc in the Czech Republic was observed by Ivo Brezina in January 2003 in Horni Misecky along with other bright halos ( 1 - 2 ). The second case was by Milan Martinek in Bozi Dar in February 2004, who, besides Moilanen arc, observed also upper sunvex Parry arc heliac arc and maybe Lowitz reflected arcs. The photos of the heliac arc were the first in Czech Republic. 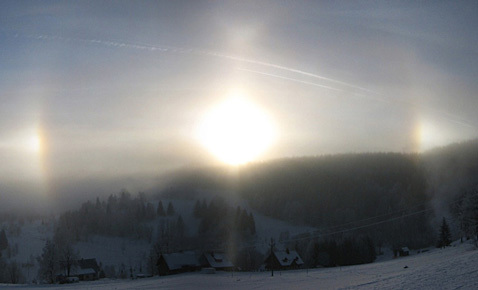 The third Moilanen arc was observed together with bright upper tangent arc by Emil Brezina on January 1, 2006 in Vsetin. 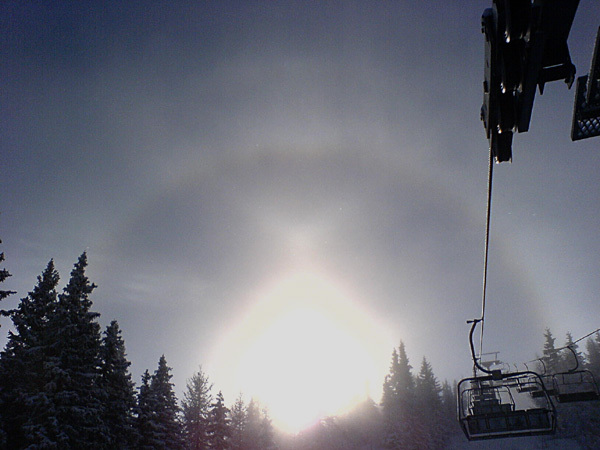 Also Moilanen arc observed by Jan Bim on December 20, 2006 in Austrian Alps is noteworthy ( 1 - 2 - 3 ). Oh my god... I want to move to the Czech mountains! Jan Bim has Parry with practically no 22° tangent arc. 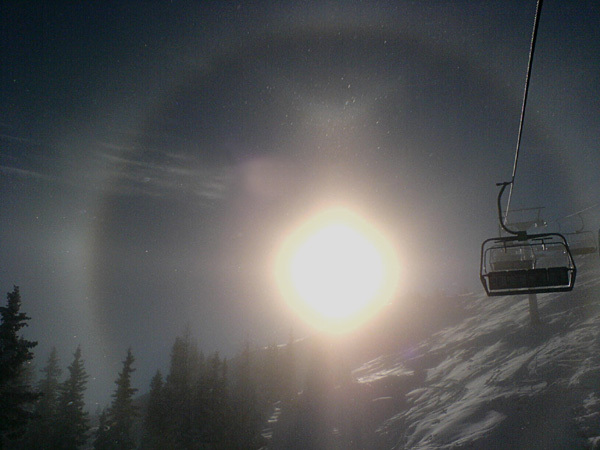 This kind of stuff is seen from time to time in snow gun displays.